This unique graduate journal is designed to be filled out by your guest at a graduation celebration. The intro page has a note to your guests thanking them for attending then also a place to write a personal note to guests. The graduation journal is formatted with prompts to guide your guest (one page per attendant); Name, Address, Phone/Email (great for sending “thank you” notes! ), How did you meet/Special relationship, Your fondest/favorite memories together, and I will never forget. This journal will be a treasured keepsake of endearing memories and fun stories to reflect back as the graduate enters the next chapter of life. Perfect for high school or university graduation parties! Personalization options available to add a photo and/or name. This unique graduate journal is designed to be filled out by your guest at a graduation celebration. The intro page has a note to your guests thanking them for attending then also a place to write a personal note to guests. The graduation journal is formatted with prompts to guide your guest (one page per attendant); Name, Address, Phone/Email (great for sending “thank you” notes! ), How did you meet/Special relationship, Your fondest/favorite memories together, and I will never forget. This journal will be a treasured keepsake of endearing memories and fun stories to reflect back as the graduate enters the next chapter of life. Perfect for high school or university graduation parties! Personalization options available to add a photo and/or name. 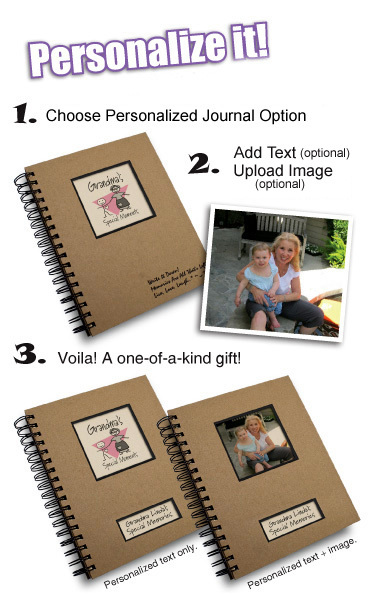 Personalize the Grad Party – Celebration Sign-in Journal with text and/or a picture.